Discussion in 'Pinball Tech Support' started by mIkea, Oct 2, 2018. Any recommendations for a decent desoldering gun? I seem to be doing more and more board/display work lately so I think it’s time to invest in a decent desoldering setup. I've used an Aoyue 474++ for the last 3ish years. It gets a lot of use doing monitor caps, hots, flybacks, etc. I've used it for various other ICs on arcade boards as well. So far it's been trouble free. If I have a few monitors to do at once and it's on for a couple of hours straight the handle will start to get a bit warm, that's my only real complaint. The odd time the nozzle will clog up but that's fairly common for any station. Most of the time just pulling the trigger and smacking the gun off my table will clear it. It was around $160 on Amazon but I can't find it there now. A lot of times if I have a single transistor or small dip I need to change I'll just grab the desoldering braid and use that. Cheap, easy, and effective. Awesome thanks- that’s what I’m looking for, something to do mainly caps, resistors etc., and a few ICs here and there. I have 4 NVRAM modules and sockets to install on WPC machines and not looking forward to using braid on those, although I’ve been getting by with braid for a while now. I figured a dedicated setup might be a bit quicker and neater. I’ll keep an eye out for that model/manufacturer. 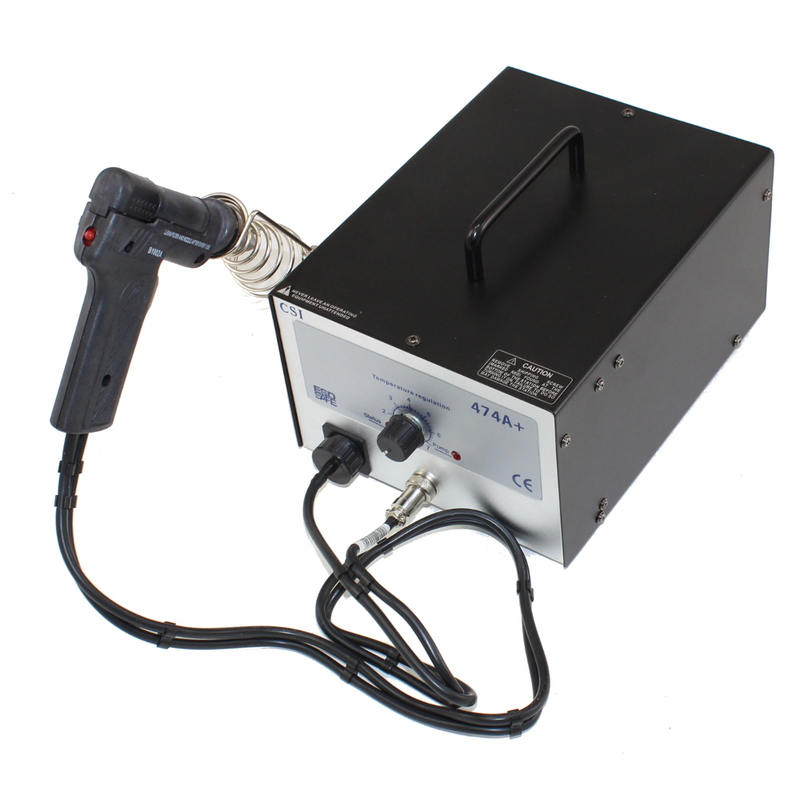 Here are a few good options for desoldering gun/stations. Here is the one I picked up earlier this year and had my parents bring back for me when they spent a month in Florida which was on sale for $105usd at the time. It's probably got the exact same internals and built at same factory as the above mentioned Aoyue 474++. 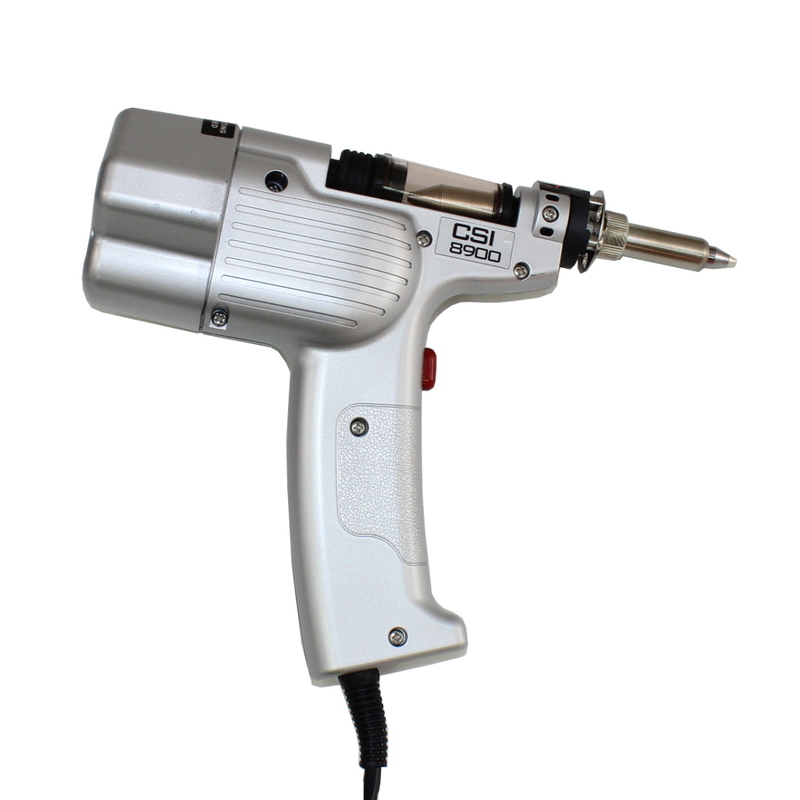 Here is another Hakko 808 knock off alternative if shipping from Circuit Specialists is too expensive going into Canada. 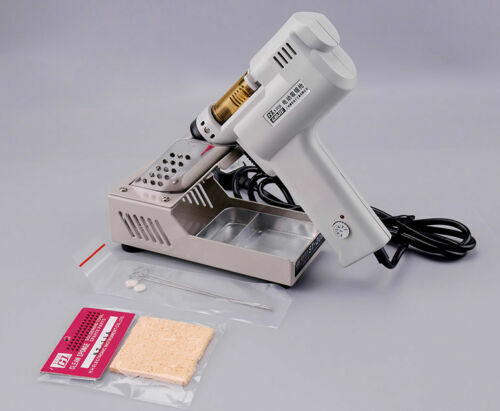 I've had and used this de-soldering gun before and works great. I gave mine to Menace after he stopped by once to help me troubleshoot and fix an issue. We have a winner - ordered the first option right from circuit specialists, although seriously tempted by the last option. $19 shipping. Hopefully it won’t take 6 weeks to get here. I recall getting nailed a few times like that too. Gotta love taxes on taxes. Bit of a crap shoot, depending on whether or not it gets flagged for inspection at the border I guess. Hopefully the new USMCA trade rules come into effect sooner rather than later, which gives Canadians $150 cross-border limit vs. $20 under NAFTA. With my luck, probably not. Should still be worth it though- looks like a sweet machine. thought the limit was $100 and not 150 ? I thought it was $100 as well. Make sure you clean the tip after each use and doesn't hurt to stock up on some extra filters too. Good advice for sure- will do! Thanks for the advice Mike- this thing is awesome. I used it to install some sockets for NVRAM in a WPC and it worked like a champ. 3 more machines to go. BTW- were u at the Silverball swap meet a few weeks ago? I am glad the desoldering gun is working out for you and money well spent. I was at the swap meet at Hanley's Church two weekends ago. My apologies for not introducing myself. I was severely under the weather (couldn’t miss the swap meet though) and u were busy on the phone anyhow. Loved the PinRev T-shirt though. Gotta get me one.